Rescue operation is still underway as crew members jump into the sea to escape. 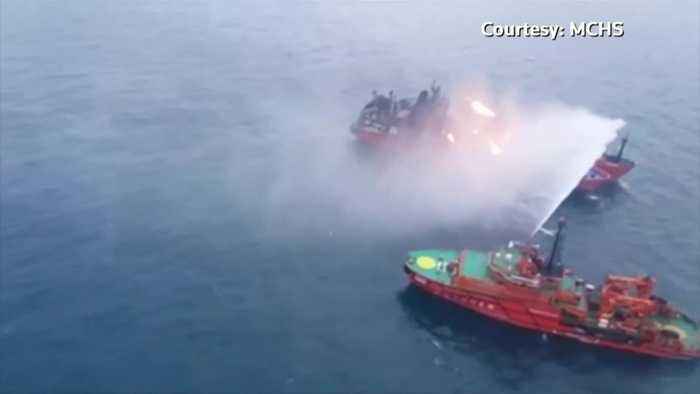 The ministry said earlier on Monday (January 21) that crew members were jumping into the sea to escape the blaze, which likely broke out during a ship-to-ship fuel transhipment. Both ships were under the Tanzanian flag - Candy (Venice) and Maestro - and had a combined total of 31 crew members. Of them, 16 were Turkish citizens and 15 from India, it said.